Discontinued. Please see item 18132 for a substitute. 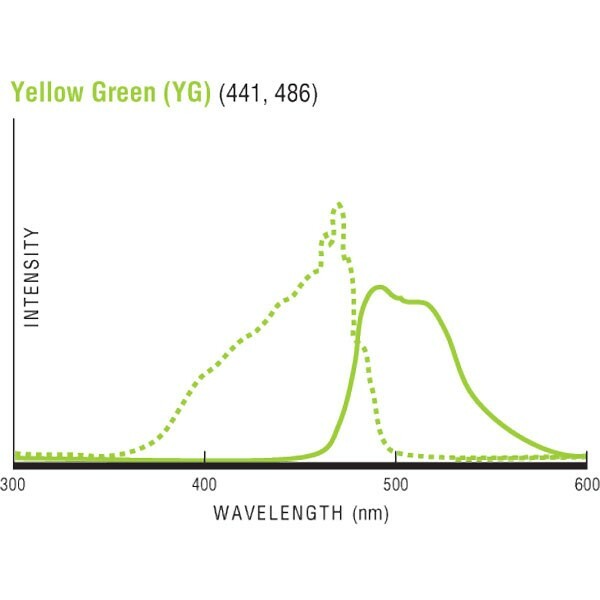 This kit contains suspensions of four high intensity microparticles, which have been tested under flow cytometry conditions for uniformity of size and fluorescent signal. The kit contains 10ml of each of the following nominal particle sizes; 0.5µm, 1.0µm, 2.0µm and 6.0µm (with particle concentrations as listed). The YG dye mimics the spectral properties of FITC without the leaching common to FITC. Components are also sold separately.